What bands do you want to see on board Round 7 of 70000TONS OF METAL? 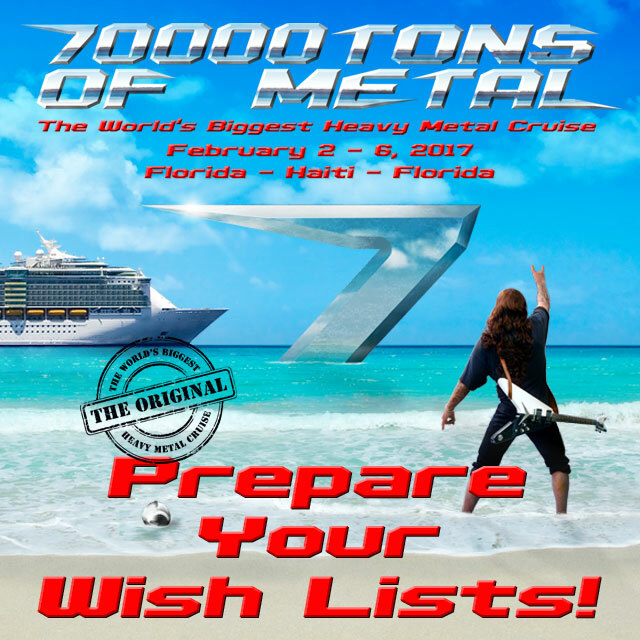 70000TONS OF METAL 2017 – The Original, The World’s Biggest Heavy Metal Cruise will set sail on February 2-6, 2017 from Miami / Fort Lauderdale, Florida to Labadee, Haiti. ← Are You Ready For Round 7?